Skil-Care Synthetic Sheepskin Pad from HealthyKin.com is super-soft and over an inch thick. It aids in reducing the pressure and friction that contributes to bed sores. It also promotes air circulation under your patient. 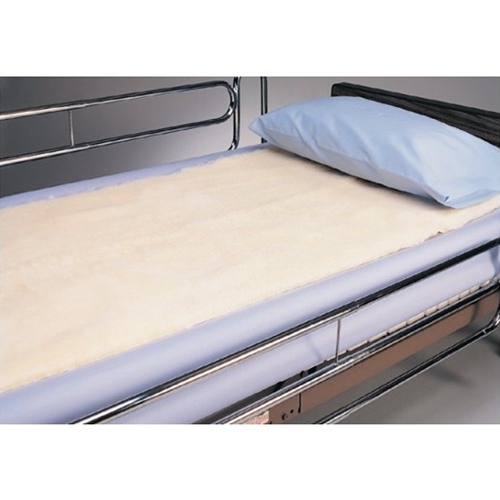 The Skil-Care Synthetic Sheepskin Pad may be washed and dried at temperatures up to 180ºF (82ºC). Bleaching is not recommended.